Lots of changes in the Edmonton radio market as CHED, the Corus News and information station, is back on top again. But the Corus Country station CISN-FM, while still owning women 25-54, slipped from the top spot last book to #3 behind Newcap’s Capital FM who picks up 2 positions to get to #2. Ralwco’s Hot AC 102.3 NOW (CKNO) slips to #4 but still does well in men 25-54. Their other station CIUP-FM, known as “UP” is on the way down losing 2 positions to settle at #7. Stations moving up in the ratings include The Bear (CFBR-FM), up 2 slots to #6, and Sonic (CHDI-FM), up 3 positions to # 5. Some jockeying for positions in this market as CBC (CBR) takes the top spot in Cow Town, dropping the Corus news/talk station known as QR77 (CHQR) back to #2. Sister station (CKRY-FM), the big country station, is static at #3. Lite 96, the Rogers AC (CHFM-FM), is the only station to cume over a million listeners a week and picks up one spot to #4. Virgin (CIBK-FM) drops one position for # 5 but does well in women 25-54. Newcap’s CPKM-FM known as AMP radio was the big mover in this last book and is up 3 places to #7. While CJAY-FM lost audience they still own males 18-34 with a 13.8 share. My friend Fred Jacobs wrote an interesting blog today and shared some positive news for the radio industry coming out of Silicon Valley. CHFI continues to dominate the ratings in Canada’s largest market and increased their overall share slightly. CBC was flat but slipped into #2 as CHUM-FM slipped back to #3. Virgin had a decent book and is now the #6 station in the market and appears to be winning the CHR battle over KISS and Z103.5. The Corus Classic Hits station from Hamilton increased audience share perhaps at the expenses of Boom which is clearly in trouble. It lost more market share and two more positions to settle at #8 in the market. 680 News is static at #4. This is the first PPM data for G98.7 and it comes in with a 1.0 share. In Canada’s 3rd largest market, the CBC takes the #1 spot in Vancouver bumping CHQM to #2. However, Q has a huge cume and performs very well in the agency demos of Adults 25-54. They own women in this market. The Beat increased audience share but stayed static at #4. JR, the Pattison Country station, picked up audience share and one position to #7. Speaking of Pattison, their AAA format also enjoyed a slight increase in audience. The other AAA now owned by Astral was static at a 1.6 share. Not much has changed at the very top as Astral continues to dominate the Montreal market with the #1 and #2 stations. Virgin looks to corrected some of the issues it faced in the last book and picked up both share and cume. But the big mover in this market is The Beat owned by Cogeco which is now tied with Virgin for #2. After a lot of speculation as to who the Harper Government would appoint as the next Chair of the CRTC, we now know. Here is the press release issued by The Canadian Press. OTTAWA – Jean-Pierre Blais has been named the new chairman of the Canadian Radio-television and Telecommunications Commission. The longtime civil servant replaces Leonard Katz, who was appointed acting CTRC chairman in January after Konrad von Finckenstein ended his five-year term as head of the broadcast regulator. In a news release, Prime Minister Stephen Harper described Blais as well-qualified for the position, having held senior positions in government as well as at the CRTC itself. “I wish him all the best as he takes on the challenges of his new role,” Harper said. The appointment is effective for five years. Blais takes over the regulator at a time of rapid change in the industry, in particular the explosion of broadcasting online. New Internet frontiers for broadcasting have created challenges for the CRTC because it doesn’t regulate the web. Upon leaving his post in January, von Finckenstein suggested the new environment requires a new form of regulation. “Whether you talk, whether you send video, whether you send a fax, an email … it’s just bits that are being sent over the same wire,” he said in an interview. Von Finckenstein called for a single law that would cover both sectors and a single regulator for broadcasting, telecom and even wireless spectrum — an area currently managed by Industry Canada. Von Finckenstein and the Conservatives butted heads several times during his tenure on issues such as how Internet companies bill their subscribers and foreign ownership of telecom companies. Just after he left, the Tories announced they were lifting foreign-investment limits on small telecom firms. But Blais’ recent positions at Treasury Board and Canadian Heritage suggest he’s likely to have a far more cordial relationship with the government. Decisions he’s facing include whether to create a national set of standards for wireless telephone contracts. The regulator is also reviewing whether to allow CBC to run ads on some of its French-language radio channels as the broadcaster grapples with a major budget shortfall. The Canadian Broadcast Standards Council today released three decisions concerning the Dean Blundell Show broadcast on CFNY-FM (102.1 The Edge, Toronto). The CBSC found some comments made by the hosts in violation of the Canadian Association of Broadcasters’ Code of Ethics, Equitable Portrayal Code and Violence Code. The Canadian Radio-television and Telecommunications Commission released statistical and financial information on the 669 commercial radio stations operating in Canada. Revenues for the broadcast year ended August 31, 2011, increased by approximately 4% over the previous year, demonstrating steady growth and continued confidence in an industry whose revenues are now back to pre-recession levels. While total revenues for AM and FM stations increased from $1.55 billion in 2010 to $1.6 billion in 2011, expenses also rose from $1.21 billion to $1.26 billion during the same period. As a result, profits before interest and taxes climbed from $298.3 million to $311 million, and the PBIT margin went from 19.2% to 19.3%. I recently celebrated my 35th year working in the radio industry. I started at a small stand alone AM station in January of 1978 as a broadcast cadet earning an annual salary of $3,334 per year! It was a great start to my career because I was one of 10 people out of over 500 who applied for these positions offered by a large radio company. I received hands on partial training at the radio station and spent six months working in each department of the radio station, while at the same time being formally trained via correspondence and block courses over three years. This training has really helped me over the years to better understand how each department of a radio station functions and interacts with the others. I was fortunate to work with some amazing broadcasters who taught me a lot and tolerated my impetuousness. Hopefully some 35 years later I am more thoughtful, but still retain the energy and drive to get things done and do my part to create great radio. I get out of bed each and every day excited to work in a business I love. I’ve tried other things at various times in my life but found that radio is by far the most satisfying. Radio is free: In this day and age when everything seems to cost more, the one thing that remains free is radio. That has been the one constant since Guglielmo Marconi invented radio in 1895. No one needs to open their wallet in order to consume and enjoy radio. By the way, I have always been puzzled as to why, as an industry, we do not do a better job of selling this benefit. Radio is fun: Radio is a fun medium, not only to work in but also to listen to. There are very few jobs where your creativity can be so easily brought to life and then shared with thousands of people. Radio is the ultimate theatre of the mind medium giving creative writers the ability to create the impossible using words, music and sound effects. Most people start their day by listening to the morning show not only for the information they need but also to also set the mood for the day. Morning shows that can make their audience laugh via the joke of the day, the prank phone call or the witty banter between hosts works best on radio. Radio is instant: Where else can you wake up with an idea in your head and have it on the air before noon? This is part of the magic of radio, but all too often we get caught up in the minutia of the day-to-day grind, and often we miss these wonderful opportunities to do something out of the ordinary and surprise and connect with an audience. Spending time brainstorming ideas to increase ratings or drive revenue is something we all need to do more of. For example, the programmers might want to spend time looking at their features and replacing the weaker or tired features with something that is new and of interest to your audience. I am hearing fewer theme weekends these days, and I seldom hear a music special based around the death of a big music artist. In recent days, both Donna Summer and Robin Gibb have passed away, but how many radio stations put together a tribute to either artist? I’ll bet that record sales and digital downloads went through the roof for both artists, as happened when Michael Jackson died. This is a clear indication that consumers want to listen to these artists and playing songs by these artists allows you to connect with your audience and share in those memories. While most stations do not play songs by those artists today, there is nothing wrong with a small departure from your format to honour the memory of artists who made a real contribution to the music business. Your audience expects you to do this, and if you give this ground up to the internet or Entertainment Tonight then you are missing an opportunity. Radio has a huge reach: This is a product that virtually everyone uses in any given week. In Canada, 95% of people listen to radio each week. In the USA that number is 94% and in England where people pay an annual license fee to listen to radio and watch TV, 93% tune into radio every week. While time spent listening may vary from format to format and from country to country, the average is 20 hours per week, and despite an ever increasing selection of media options, radio is still the second most consumed media in North America, just behind television. Radio is effective: People tune in to radio for information, entertainment, and companionship. But they also tune in to hear the radio ads, because consumers want to know about local products and services and they want to know where they can save money. Radio is the last medium heard by most consumers in the minutes before they make a purchase. Advertising agency Saatchi & Saatchi conducted an interesting study about the subliminal nature of radio ads back in 1981. It was called the Ironing Board study and they re-ran the same study in 1995. In both cases they found that people listening to the radio take in a lot of information heard on the radio even when they are doing other things. The objective of the study was to find out to what extent people actually took in radio ads when they were listening as a secondary activity. The 1995 study aimed to update the original results and investigate listeners’ ability to recall ads in both conventional ad breaks and Newslink spots, which appeared within the newscast. For both studies, over 300 housewives were individually invited to bring a bag of their ironing to the recruiters’ homes, ostensibly to test a new starch. The recruiter gave them 15 minutes to test the starch with the radio on in the background: unknown to the housewives, the “radio” was actually a tape containing a variety of ads and other programming. In 1981, the respondents were radio listeners; in 1995, this was refined to commercial radio listeners, and the tape replicated their favourite radio stations. After both studies, the respondents were asked about the starch performance, and then about what they spontaneously remembered being on the radio. Listeners can and do take in messages even when distracted by a primary task . This includes branded recall, and recall of “softer” information such as dialogue, sounds and music . Some ads are much better recalled than others. The best-performing ad was remembered by over a third of respondents, the worst-performing ad by only 10%. All this related to a single hearing, which led the researchers to question the high levels of repetition used in radio advertising. Confirmed the findings of the original test, despite the fact that consumers are exposed to far more advertising messages in all media. It also suggested that for conventional advertising breaks, the position in break did not have any real effect on recall. However, when there was a solo ad positioned within news bulletins, average awareness levels were significantly higher. Radio sounds great: The technical quality of FM radio today sounds amazing. With digital consoles, smarter processors (check out the Omnia 11 and Vorsis processors if you want to set your station apart from the competition), improvements in sound cards and faster computers, the audio quality we broadcast today can be as close to CD quality as we desire. The cost of recording music in linear form is a little higher than compressed Mpeg, but the end result is worth the effort. Most radio stations use audio limiters and processors and also have in place systems to ensure the audio levels are consistent between music, voice and commercials – something the television industry in Canada is now being forced to deal with by the CRTC. Improvements in audio receivers have also helped improve the audio experience. If you have purchased a new car lately, chances are you will have 10 or more speakers spread around the interior of the car cabin and the radio itself will be far superior to the radio of just a few years ago. All this means a great sounding signal that goes for miles. Radio is easy to consume: Radio is everywhere and can be heard in the car, in the home and in the work place. Most homes have several radios and chances are, most people wake up to the radio each morning. Many work places have a radio playing in the background and most office phone systems have the ability to play a radio station in the background. These days, the radio appears on a large number of smart phones either via a radio station application or built into the phone itself. Radio is also easy to stream on a computer, iPad or iPod and many other devices, which has helped grow radio listening. A recent study showed 35% of Americans had listened to an online radio station in the previous week. In short, radio is easy to find and easy to use. Canada, there are almost 700 radio stations on the air, with 17 new stations approved in 2010. There have been several more approved by the CRTC since then, including two new FM sticks that were approved for Calgary on May 24, 2012. There are 5,765 commercial radio stations streaming audio over the internet with more launching every day. This creates more jobs for those eager to get into the industry, and while consolidation will result in some jobs being eliminated, on balance I think this is a great time to be getting into the radio industry. Radio is a great frequency medium: Radio is a cost effective medium because you can reach a lot of people and run the message frequently enough so that those people who are in the market for a particular product or service will be more likely to purchase. All advertising works by repetition and you may need to be exposed to a commercial three or four times before you take action. Repetition has been proven as the best way to learn and retain information. It is also why a song writer repeats the same words a number of times in a song. It’s called the chorus and this repetition helps us remember the song . Radio is a great frequency medium and, therefore, works well for advertisers. For about the same price as a half page ad in your local paper, an advertiser can run 21 radio commercials over 3 days. Running 7 commercials a day for three days will ensure potential customers will hear the same message several times. It has been proven time and time again that if you say something enough times it will sink in and people in the market for that product or service are more likely to respond because of the frequency. Radio is targeted: Each radio station is operated with specific market segments in mind, so despite there being many radio stations nationwide, there are particular stations that target your specific market. In the car, at the office, in the garden you can reach your customer on the radio throughout the day or night. This increases the frequency that your message can be delivered. Radio makes a difference in people’s lives: Radio is local but the signal often goes a long way. This means that when disaster strikes, radio is often the best medium to get critical message out to people quickly. For example, when earthquakes struck Christchurch New Zealand or Port a Prince Haiti, radio was the only electronic medium that stayed on the air and was able to get critical safety information out to people quickly and efficiently. Radio broadcasts community information and gives people ideas of what to do locally with their free time. While other media can also do this to some extent, radio is more immediate than newspaper, billboards or magazines, so radio is best to let people know when things change. Radio warns people about traffic hold ups or accidents and helps them with their daily commute, which is becoming longer in many Canadian cities. Radio is flexible: We can put an announcer in a store or at an event. This is one of the real benefits that radio offers over most other media. Our outside broadcasts get customers to come to a specific location. Radio can provide product sampling, on-air giveaways and great contests. That’s hard to do with print or television. But we need to be creative in the look and approach we take to these events to make them special and ensure radio continues to own this space. Conclusion: Perhaps our love of radio comes about because it is free and easy to consume. But the reason I love listening to and working in radio is the emotional connection radio makes with each and every listener. 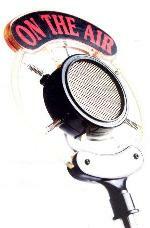 I am a big fan of radio and I believe it will remain both relevant and influential in 2012 and for many years to come. I hope you will take a minute to reflect why you love working in radio in 2012. If you’d like to share your thoughts give me a call or me send me an email.